75-year old Sara Martinez is recovering from bite puncture wounds after she was attacked from behind by a dog while walking in the 3600 block of San Pedro in Houston. Ms. Martinez was on her way home around 1:40 p.m. when she felt the bite to the back of her leg and saw blood. An ambulance transported her to the hospital. The victim’s daughter Sandra Martinez said the attack was unexpected and totally unprovoked. 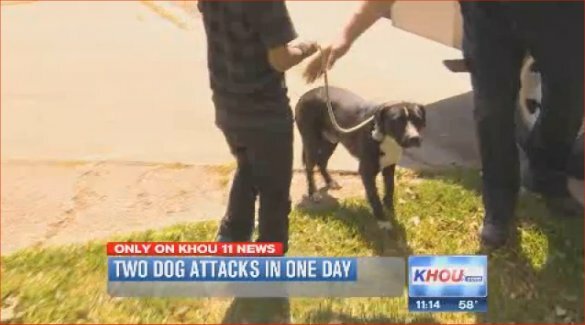 According to Channel 11’s report of the incident, a young boy lured the dog away after the attack; the child’s family later gave up the dog to animal control. The boy’s father said that it was just a stray dog that they were keeping around. 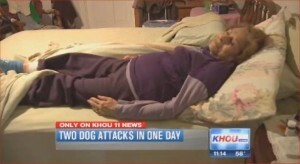 This entry was posted on Friday, March 21st, 2014 at 1:33 pm and is filed under Dog Attacks, Dog Bites.